AMSTERDAM, 28.11.2017 – Safety aspects of the way in which cargo is packed and transported in unit loads across the global supply chain continue to be the focus of opportunities for improvement. 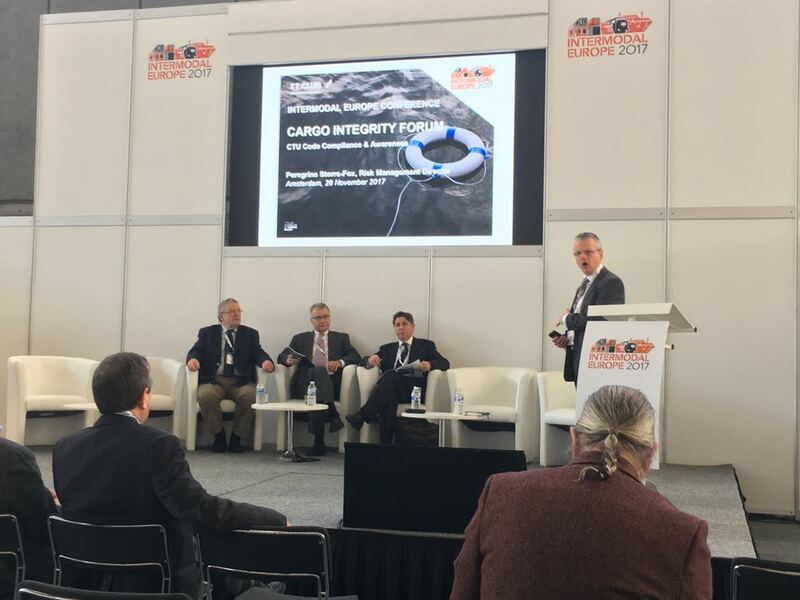 During a session of the Intermodal Europe Conference in Amsterdam today, four industry organisations representing different sectors of the supply chain have been drawing attention, in particular, to the responsibilities of container owners and operators in providing equipment that is fit for purpose and properly packed with cargo as set out in the CTU Code. The Global Shippers Forum (GSF), ICHCA International, TT Club and the World Shipping Council (WSC) have for some months now been working together to improve safety through a focus on cargo integrity. The specific aim has been to promote wider use of the IMO endorsed CTU Code  for correct packing and securing of all cargo transport units (CTUs). Improved standards of declaration and handling of dangerous goods are also within the scope of the Code, together with steps to prevent pest contamination, and the provision of containers and other equipment that comply with international rules and standards.